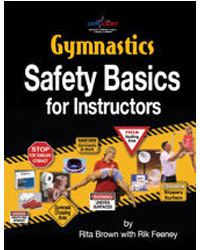 The Gymnastics Safety Basics manual covers all aspects of gymnastics safety for the novice and experienced gymnastics coach. 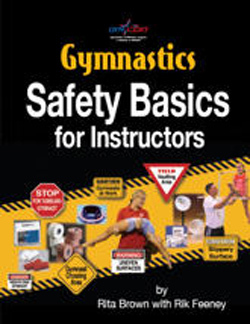 Included are spotting tips, safety tips, lesson planning, supervision, First Aid, Legal Concerns, equipment descriptions and safety matting recommendations. 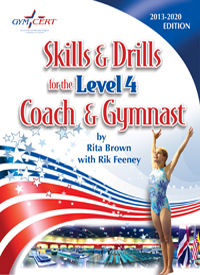 The information is presented in an easy-to-read format that is a great introduction to important safety issues for the novice and educational reinforcement for experienced coaches. 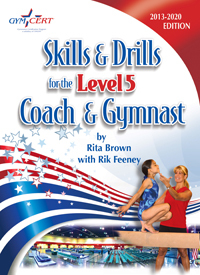 Illustrations and terminology for all the basic gymnastics body positions including a glossary of gymnastics terms that is one of the most complete in the industry. Included are Waiver and Release Forms, Emergency Action Procedures and Accident Report Forms. 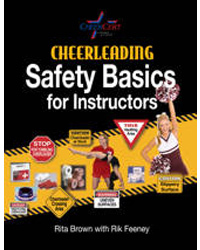 Cheerleading "Safety Basics for Instructors"